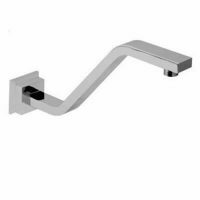 The Dan Elle Twin Column Shower unit is an excellent addition to any bathroom. It offers the comfort of a handheld shower plus a bush shower. This twin shower unit will provide a completely unique and refreshing bathing experience. The Dan Elle Twin Column Shower unit offers a great, contemporary chrome finish. It includes a 200mm bush shower overhead and a hand shower on brass rails. It features soap dish on the rails. It is constructed using heavy duty brass and the rails are adjustable. A double interlocking hose on this shower set makes it a breeze to use. The Dan Elle Twin Column Shower unit is a quality product from manufactures Linkware. 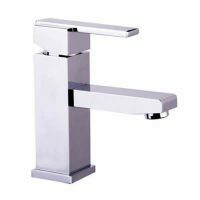 It has an exceptional water flow rate of 9L per minute and has a 3 start WELS rating. This shower unit will certainly add functionality and practicality to any bathroom. 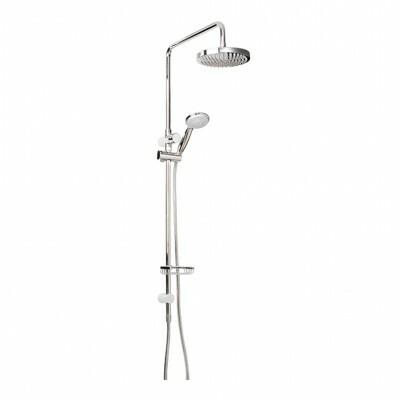 Grab hold of the elegant Dan Elle Twin Column Shower Unit! 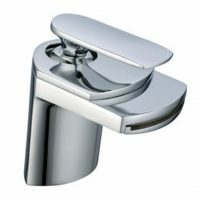 Buy this product at the best price from Ross’s Discount Home Centre. You’ll also avail of free delivery in the Perth Metro area, so go ahead and make your purchase today!